You can spend a heck of alot of money on scuba diving resorts and/or hotels. But which ones are worth the money? You've read all about our experiences on this site, now we would like to turn the tables. We, along with the readers of this site, would love to hear your opinion on the dive resort(s) you've been to (and you can even win free stuff by sharing your review). Is there a dive resort you can't wait to get back to? Or one that you couldn't wait to get out of? Whether you want to rant or rave, or anything in between, here is the place to do it. 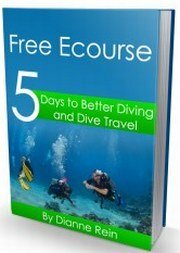 Share your review with fellow divers. 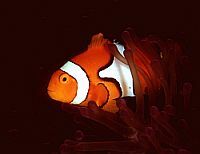 We'd love to hear your opinion and it can help us plan our next dive trip. Brag about that scuba dive resort in Palau. Or tell us about the bugs during your last dive trip. Whatever you think is important, we want to know. So join in, write your review and maybe you will be this month's winner! Did You Stay at a Gem of a Resort? Or a Rotten Apple? Tell us about your stay at your favorite (or least favorite or anything in between) dive resort/hotel. We'd love to hear all the nitty gritty - it'll help us all plan our next dive trip. It's easy to do, just use the form below. Read reviews of where fellow divers have stayed and what they loved or hated about the place. Just click on the links below.